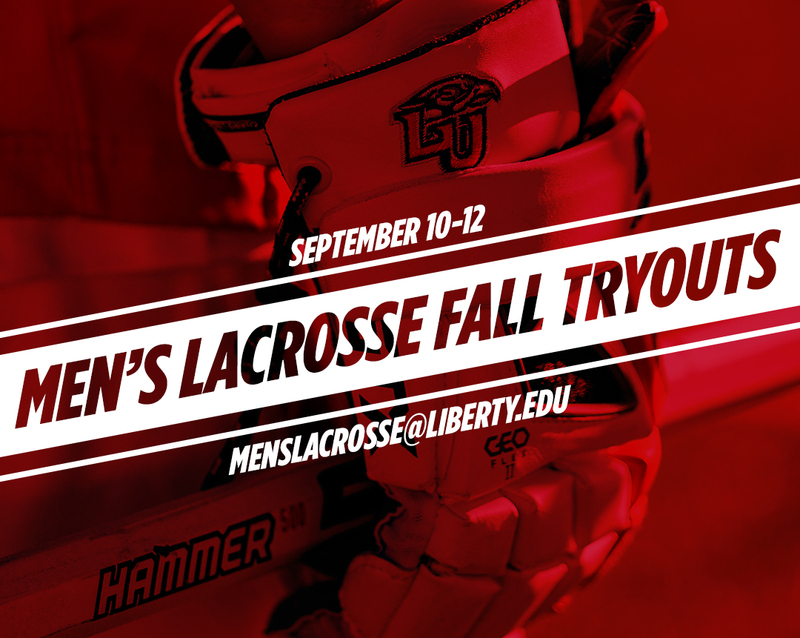 Liberty Men's Lacrosse Open Fall Tryouts will be held September 10th-12th, 201 from 3:00-5:30pm at the East Campus Men's Lacrosse Field. Prior Registration will need to take place for all returning and prospective players interested in participating. Please provide all relevant information including player information, academic and athletic background as required below. Equipment must be provided by players. Temporary storage will be available upon request. Further questions can be addressed to menslacrosse@liberty.edu. To add to your party please select below. To edit a registration, select the registrant below.